The security of your personal information is of the utmost importance to Texas Financial Bank. As such, we would like to offer these tips to help protect your data. We will not send any electronic communications (e-mail or text messages) requesting your account information, account verification, passwords, codes, or similar information. If you have reason to doubt the validity of such communications please contact us. 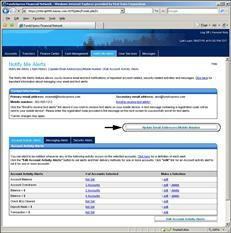 Be cautious when clicking any links or attachments in e-mail messages could expose your computer to malicious programs. 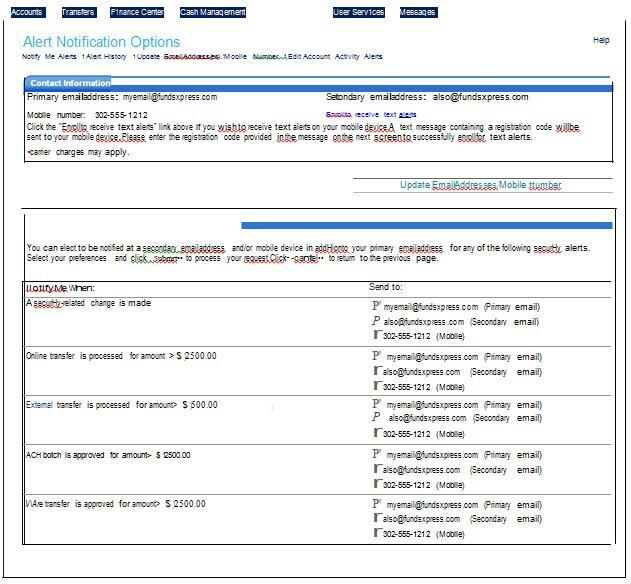 You should not send sensitive or personal information via e-mail to the bank without a method of encryption. Instead, look for alternate methods of transmission. Ensure your internet connection is sufficiently protected using any and all methods available including, but not limited to, routers, firewalls, antivirus software, and antispyware software. Ensure your operating system and all supporting software is updated regularly. Ensure your passwords used to secure sensitive information are at least 8 characters that include a combination of uppercase letters, lowercase letters, numbers, and special characters. Passwords should not be used for multiple websites. Change your password regularly or when you have reason to believe it has been compromised. When using online banking verify the website address indicates a secure connection (https://...). Be cautious when using public internet kiosks to conduct any private business. other recommendations that the issuer reasonably believes are appropriate to facilitate the security of its unmanned teller machine customers. If you would like a printable copy of these instructions please click here (Adobe PDF format). You must be an internet banking customer. Not all cellular carriers will support Notify Me Alerts via text messaging. You are advised that a cellular carrier may charge message and data rates for text messaging service. YOU MUST be the account holder for the mobile number given. 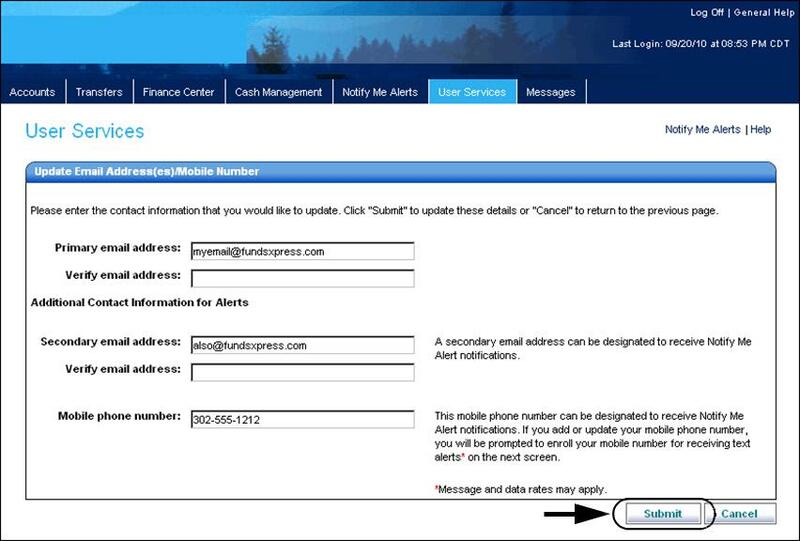 A short code is provided, to which you can text “HELP” for assistance via text message, or “STOP” to stop receiving ANY Internet banking text messages. NOTE: If you only want to cancel Notify Me Alerts text messages, we recommend that you edit the Notify Me Alerts settings online rather than sending a “STOP” command via your mobile phone. How Do I Opt In to Alerts? Log in to internet banking, and then click the Notify Me Alerts tab. The Notify Me Alerts page appears. 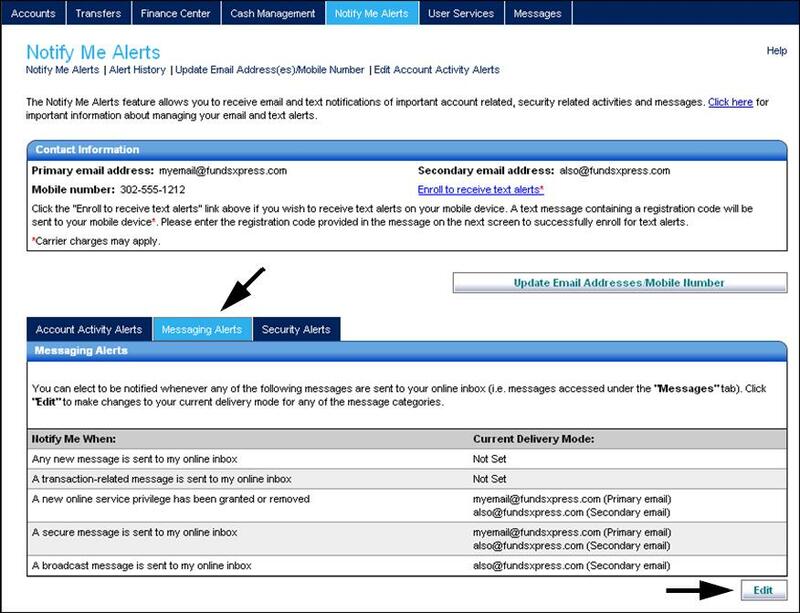 On the Notify Me Alerts page, click Update Email Address(es)/Mobile Number if delivery modes have not yet been set up. The Update Email Address(es)/Mobile Number page appears. Add or update the email address(es) and/or mobile number on this page, then click Submit. NOTE: The enrollment process requires you to enter a registration code that is texted to your mobile number, so you should have the mobile device at hand before starting to enroll. You should receive a text message from FundsXpress Financial Network on the mobile device, containing a registration code. 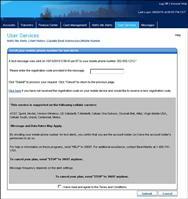 The Enroll your mobile phone number for text alerts page appears. In the text box enter the registration code that was received. If you did not receive a registration code, use the Click here link provided on this page to request that another code be sent. 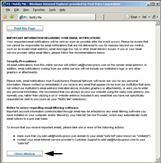 Click the I have read and agree to Terms and Conditions checkbox. Click Submit to complete enrollment. 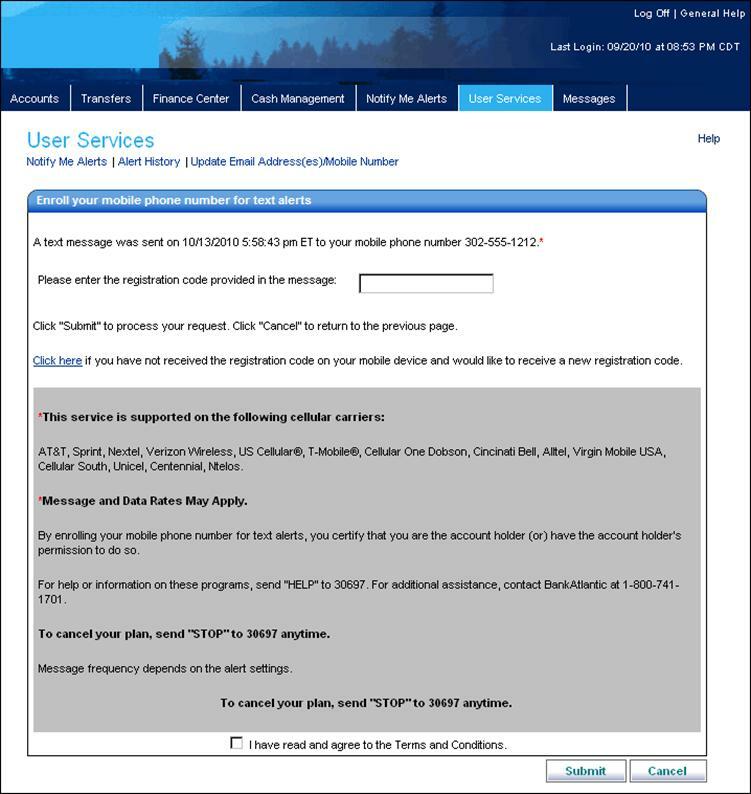 The Text Alert Enrollment Confirmation page appears. 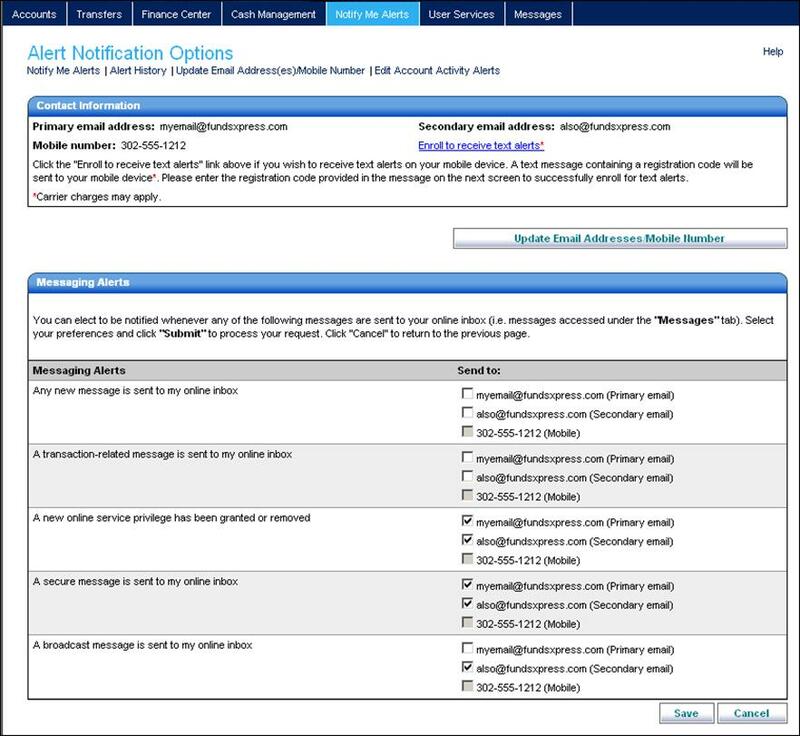 You will receive an email verification to new and old delivery modes that contact information has changed. 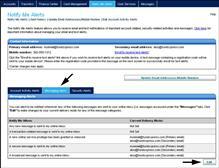 Return to the Notify Me Alerts page, and use the Click here link to view more information about external email notifications. The Important Information page appears. Click Close Window to return to the Notify Me Alerts page. How Do I Set Up Account Activity Alerts? 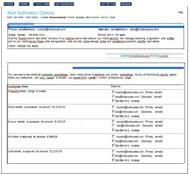 The Accounts selection page appears, showing all accounts. 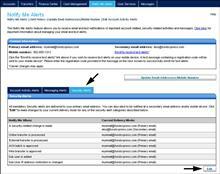 Use the checkboxes to select the accounts on which to edit alerts, then click Edit Alert on Selected Accounts. The Edit Account Activity Alert page appears, showing all settings for each account activity alert for the accounts you selected. 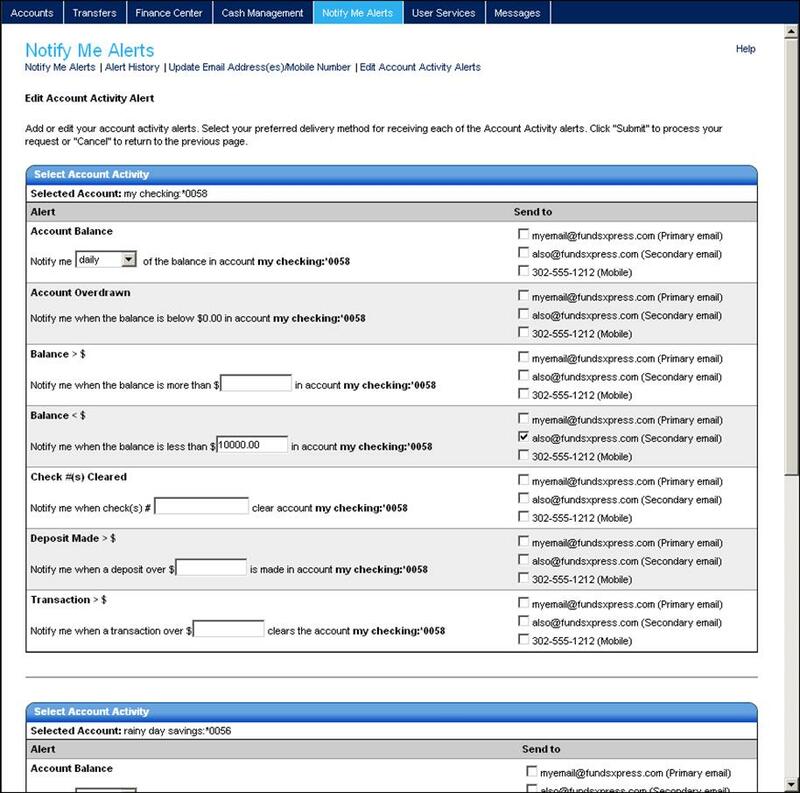 This page provides a separate Select Account Activity section for each of your accounts. 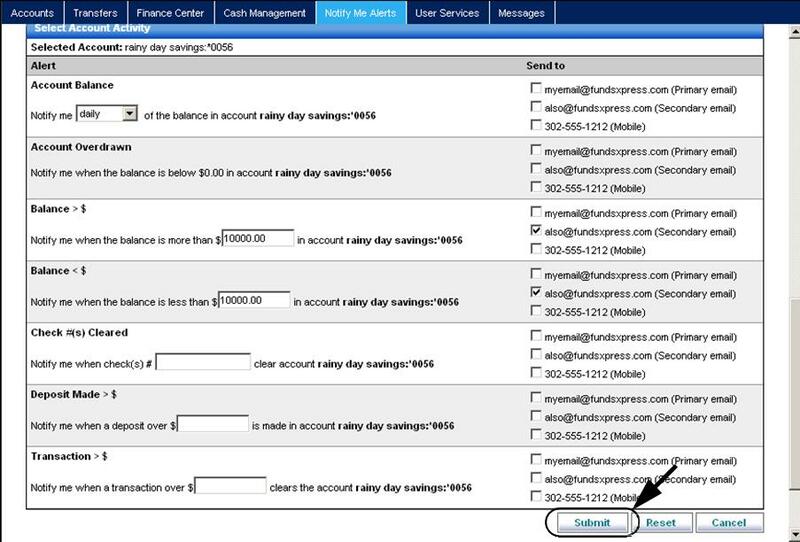 In each section, all possible Account Activity alerts are listed, and for each alert, the available delivery modes. If some alerts have already been set up, they show the delivery modes selected in the Send to column, as well as any other settings (such as an amount) that have been specified for them. 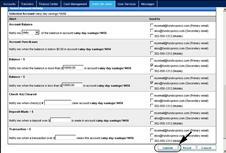 For each account, click the checkboxes in the Send to column to select delivery modes for the alerts you want to receive, or remove delivery modes for the ones you do not want. For each alert that has at least one delivery mode selected, you will set the alert’s parameter. Sends a notification at regular intervals containing the amount of the current account balance. Select a frequency for the alert: daily, weekly, biweekly, or monthly. For a weekly, biweekly, or monthly frequency, an additional drop-down list appears, allowing selection of the preferred day. Sends a notification when the account has been overdrawn. Sends a notification when the account’s balance is above the specified amount. Sends a notification when the account’s balance is below the specified amount. Sends a notification when the specified checks clear on the selected account. Enter one or more check numbers. Sends a notification when a deposit over a specified amount is made on the account. Sends a notification when any transaction over the specified amount is made on the account. 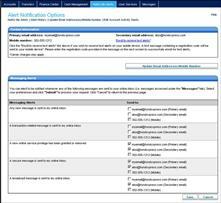 A confirmation screen appears briefly, and then the Notify Me Alerts page appears with the Account Activity Alerts list showing the number of accounts that have alerts set. 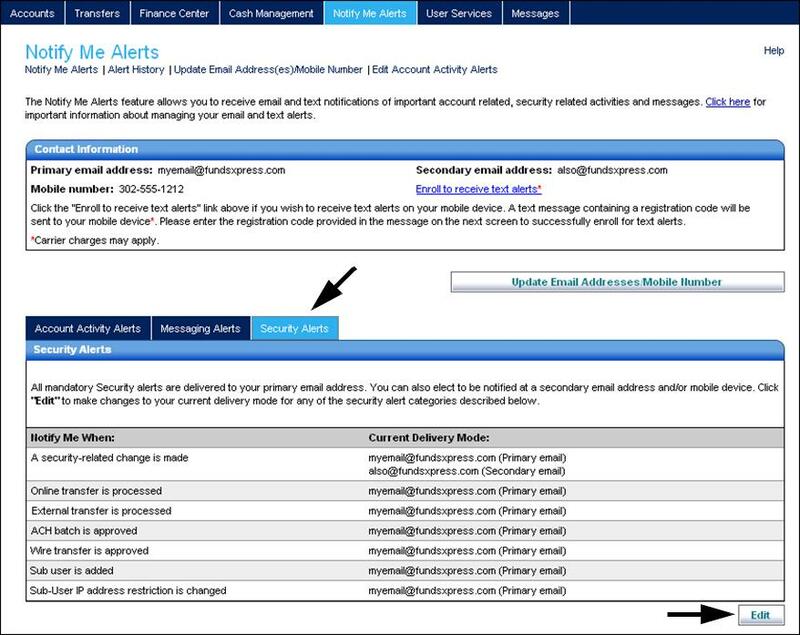 Setting up Messaging alerts and Security alerts is almost the same as Account Activity alerts, except that there is no need to select accounts. Select the appropriate sub-tab on the Notify Me Alerts page. 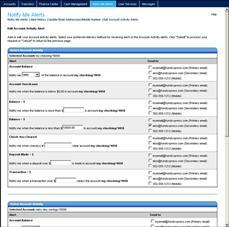 On the editing page, select delivery mode(s) to indicate where the desired alerts should be sent. NOTE: Most Security alerts are not optional. 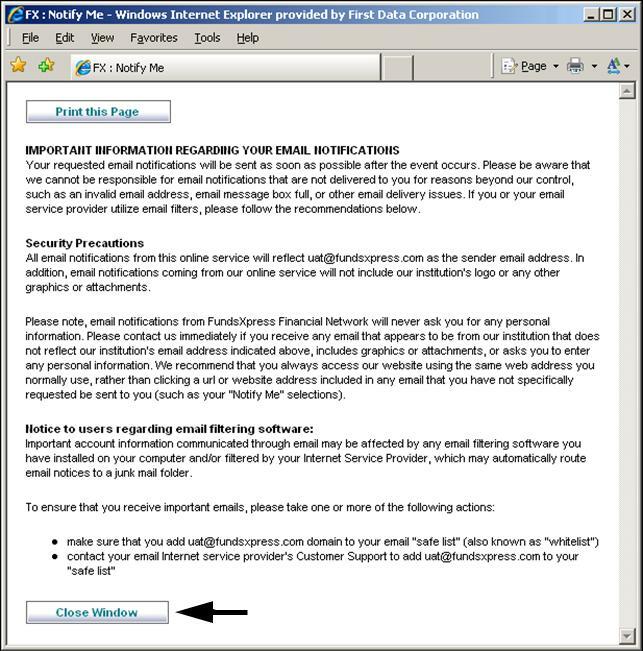 They have the primary email address selected as a delivery mode by default, and it cannot be removed. 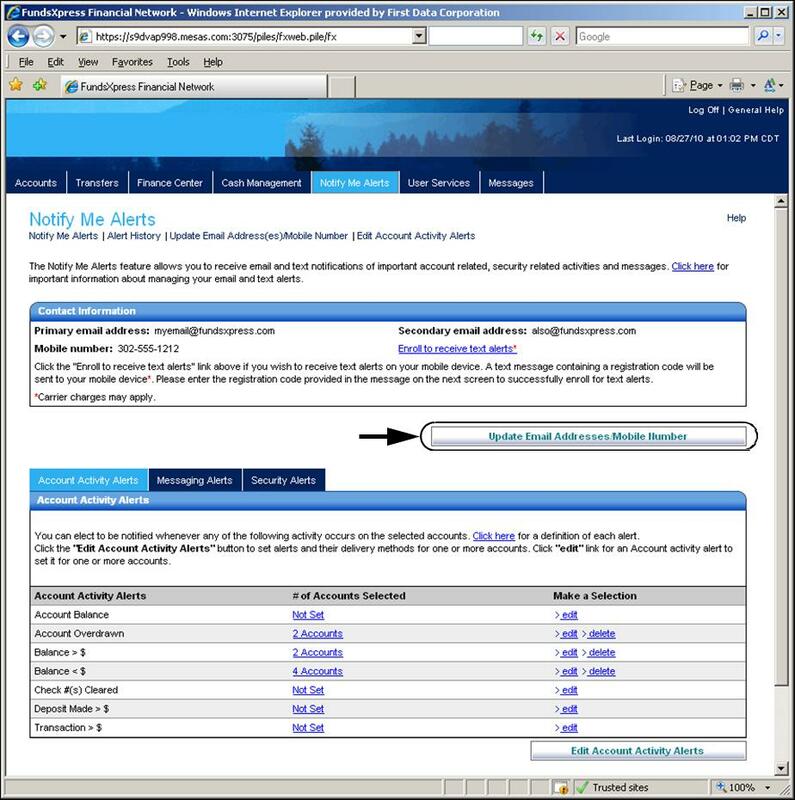 In the case of Security alerts, as illustrated below, some alerts take a parameter value. You can change the system default value if necessary, but cannot increase threshold values beyond limits that you specify. CardValet protects your debit and credit cards through your mobile device by receiving alerts and defining when, where and how your payment cards are used.